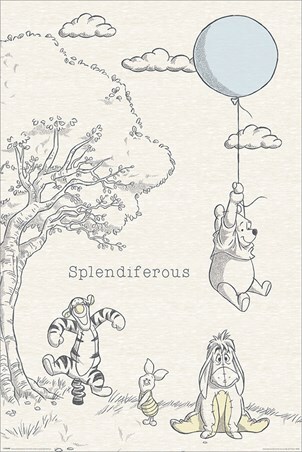 Join this lovable and always hungry bear and his best friends in The Hundred Acre Wood, as they enjoy a 'Splendiferous' day getting into mischief. 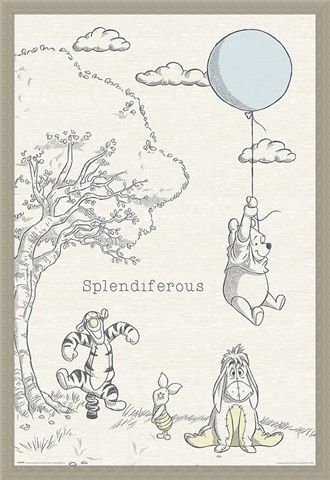 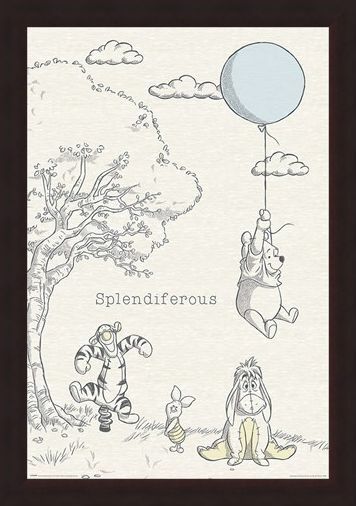 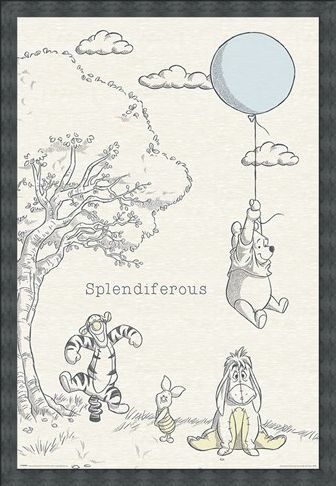 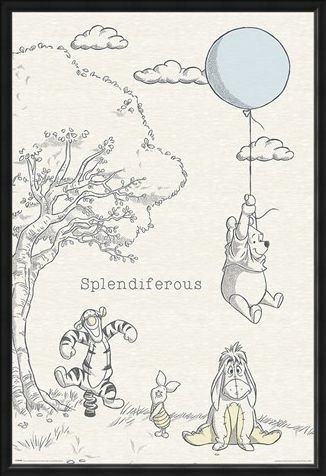 This wonderfully endearing poster features Pooh, Tigger, Eeyore and Piglet, delicately coloured in against the aged background, just like the page of a book. 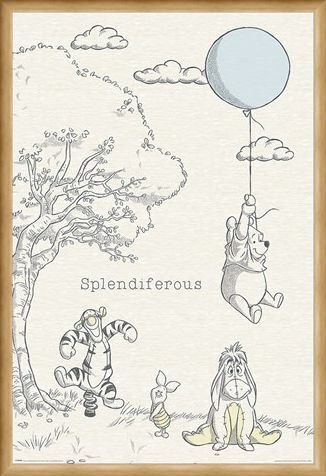 Probably off to find some delicious golden 'hunny' to fill his rumbly belly, Pooh drifts up and up, still with that friendly smile. 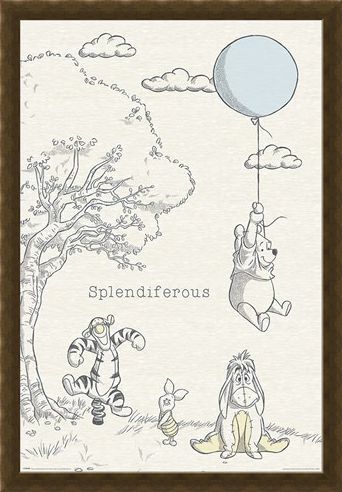 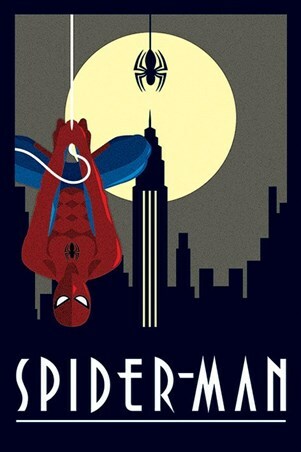 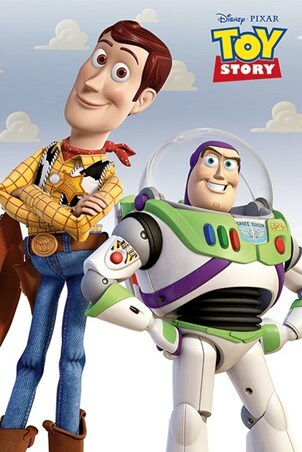 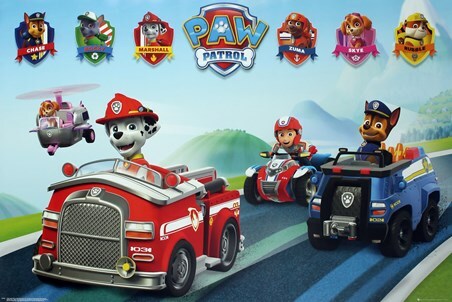 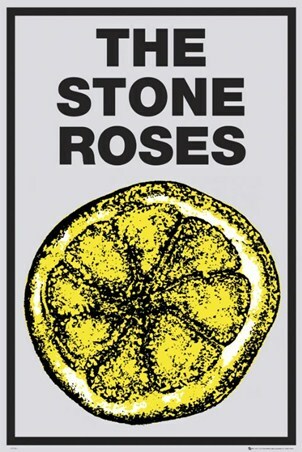 With a marvellously innocent charm, this poster is perfect for any little adventurer's bedroom wall! High quality, framed Splendiferous, Winnie the Pooh poster with a bespoke frame by our custom framing service.